A Crush It! squishy is the perfect way to say kudos to an employee of the month or as motivational gifts to kick off a big team project. 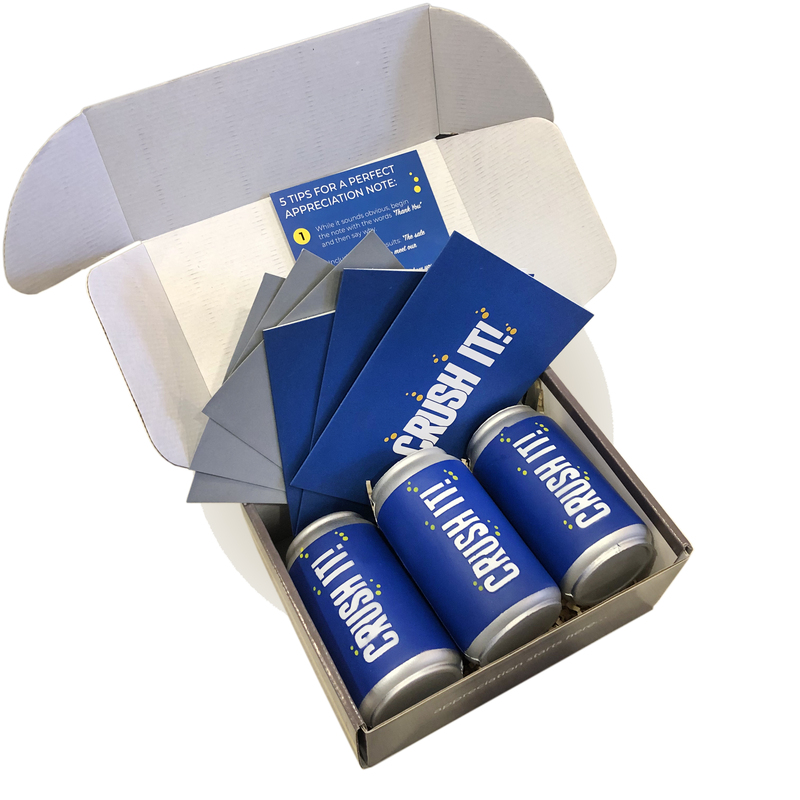 MADE TO LOOK GREAT AND BE DURABLE - Each blue and silver jumbo stress relief toy is the size of a real can of soda, measuring 4.5 inches tall, and is made of high quality, slow rise foam. GREAT AS FIDGET TOYS FOR KIDS AND ADULTS - Present these gifts as sensory toys to help focus students in the classroom or brainstorming sessions in the workplace. LEAN IN WITH MORE THAN JUST THANK YOU CARDS - Let them know when they are Crushing It! Whether it's for Nurses Week, Bosses Day, Volunteer Appreciation, or as trophies for kids. BONUS: 5 TIPS TO PEN THE PERFECT MESSAGE - Your box of gifts and matching cards will come with a handy reference card providing 5 tips to write a personalized note of thanks and gratitude.